The investment in supporting those with mental health issues in North Yorkshire is being highlighted on World Mental Health Day – with a warning that there is much more to do, but a determination to ensure improvements continue. The message comes from North Yorkshire Police and Crime Commissioner Julia Mulligan who has made supporting vulnerable people with mental health concerns one of her priorities. The police service currently estimates that up to 40 per cent of calls for service involve some form of mental health concern, including people in real crisis. The York Pathways programme – which supports people who come into contact with emergency and other services on a very frequent basis. It has significantly reduced demand on all services and is helping some of the city’s most vulnerable people live more independently. Connect York – a £1m research and training programme with the University of York to help the police understand and support people with mental ill-health. Another key improvement has been the introduction of four health-based Section 136 suites across the area, which Julia has championed since November 2012. As alternatives to police custody, these facilities provide medical support for people detained under Section 136 of the Mental Health Act and avoid people in real distress being treated like criminals. The Commissioner continues to call on local health providers to keep these essential suites open. Since January 2017, it has been illegal to take Section 136 patients to police custody, unless absolutely necessary. Julia Mulligan is therefore hugely concerned that two of the four North Yorkshire suites (Harrogate and Northallerton) are currently threatened with closure. 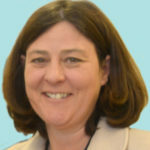 Last week, she wrote to Nigel Adams MP, Parliamentary Under Secretary of State for Mental Health and Inequalities, to express her concerns, calling for the facilities to remain open and is also making the case with Health Minister Jackie Doyle-Price who has today been given specific responsibility for work on suicide prevention. “World Mental Health Day is a chance for us to put the spotlight on the work being done to tackle mental health issues across North Yorkshire. It is positive that people are more willing to talk about mental health and I am confident the investment in care and support is making a difference, but no one should be under any illusion that challenges remain. Whether you’re concerned about yourself or a loved one, helplines and support groups can offer expert advice. Visit the NHS Moodzone web page for the full details of who you can contact if you, a loved one, or colleague needs help.